Caesalpinia pulcherrima is a species of flowering plant in the pea family, Fabaceae, that is native to the tropics and subtropics of the Americas. It could be native to the West Indies, but its exact origin is unknown due to widespread cultivation. 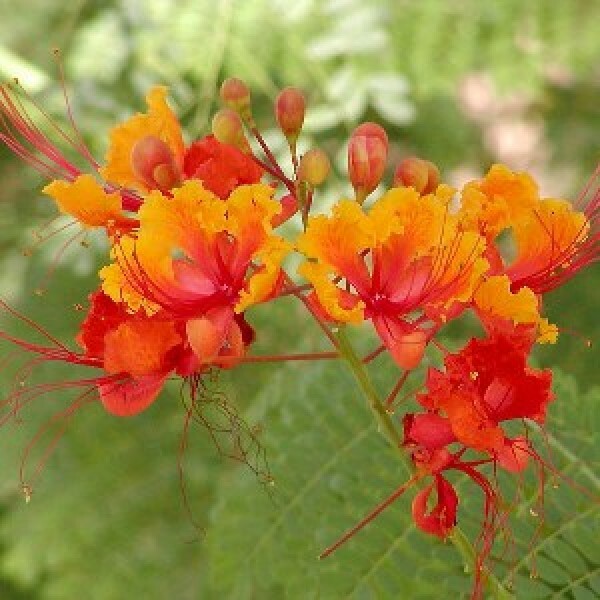 Common names for this species include Poinciana, Peacock Flower, Red Bird of Paradise, Mexican Bird of Paradise, Dwarf Poinciana, Pride of Barbados, and flamboyant-de-jardin.